"These images like murals are images that can speak to people and that people can identify with. You don’t have to be from a certain background or certain city or community or ethnicity or political belief or religious belief. These are my visual memorials to the epic and endless struggle of the human experience." From Vincent Valdez’s point of view we have a choice as to which way we want to go as a country. We can start again. It could be the beginning of a darker chapter in our history or a more enlightened and inclusive one. And art can sometimes be that guide to help tell us who we are, what we are made off, and where we can go from here. One of his biggest fears is that we are not learning from history, some of which is seemingly lost, and some of it ignored or manipulated to favor one group over another. Vincent has never wanted to be anything other than an artist and he vowed and pledged an oath to himself and his work right from the beginning. Never would he sway from what he felt in his heart that it was most important to say, no matter the consequences. He has stayed true to his vision for almost two decades and has used his struggles in life and in the studio as fuel to propel him forward. His integrity, clarity, and work ethic come from his parents and family who are the common people that have helped to build their communities and America while enduring discrimination and the systemic limitations built into our society that do not favor people of color. At the very beginning of his life as a small helpless baby in an incubator Vincent was holding on for life, but his grandmother saw then what is obvious now to the rest of us. He has something to say and he has the ability, the determination, and the courage to say it in his own visual way. 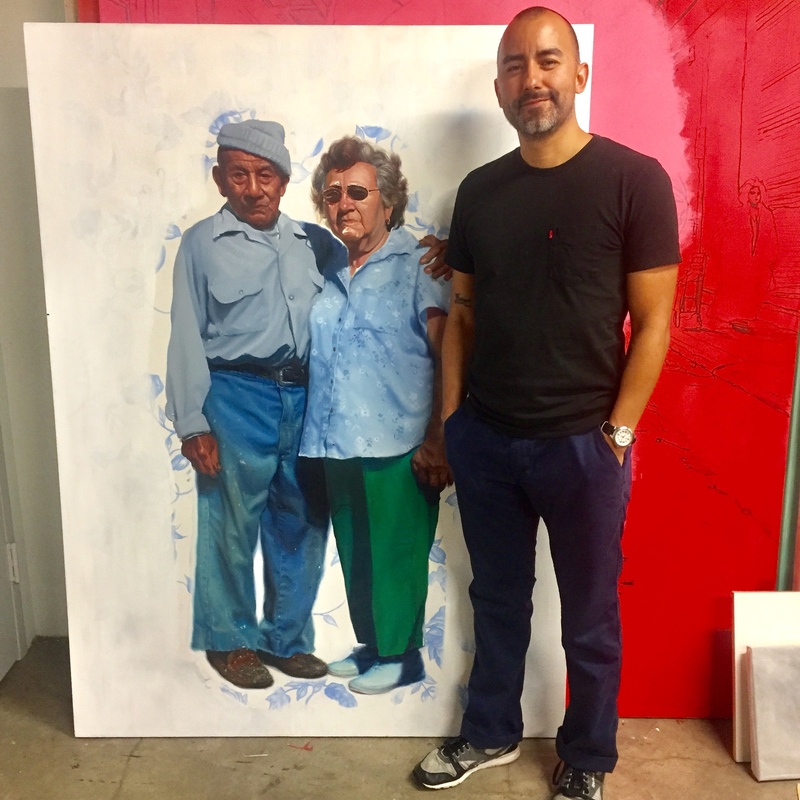 As he developed his skills, discipline, and interest in art growing up, he really found his calling when he started to paint murals with his mentor Alex Rubio. That was his first real education about people, life, and how the world works. He vowed to never loose sight of or touch with the community that he was learning to portray and give a presence and a voice to in those murals. We see now in his works the truths and realties of life’s struggles and a mirror of ourselves and the human experience that we night not always recognize on our own or want to look at. Potential moments of truth and something greater than just one person or one artist. 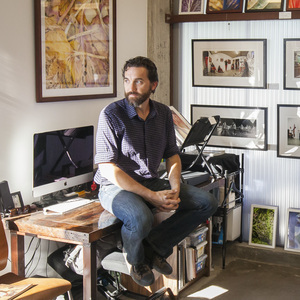 In his studio Vincent feels the most freedom in his life and the main limitation is having the time to manifest all of his ideas. Beyond painting and drawing he feels he is just a novice so there is much to learn. The work is an outlet to try to make sense of the world outside of the studio and success is simply having the ability to do what he wants to do. Be an artist and keep reinventing himself and keep exploring how to see and show things differently, or as they really are. When he has an intense feeling and idea for new work his biggest challenge is how to then translate that into a painting or drawing that will potentially give the viewer of that work a similar feeling. Vincent and I met in 2011 at The Serie Project thanks to the amazing Sam Coronado. 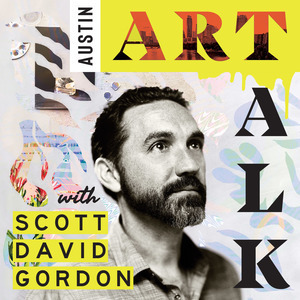 Over the years our paths have crossed again but with the excitement around the inclusion of his paintings The City I & II at the Blanton Museum of Art, I knew the time was right for an interview. And what a great interview it is, not because of anything I did, but because of Vincent’s humble, generous, and wise perspectives on life, being an artist, and staying true to your ideals. Please enjoy and if this episode or any other I've produced have helped or added value to your life please consider supporting the podcast so it can continue and grow. Thanks! Vincent in his studio with a painting of his grandparents. Here's a link to the museum website dedicated to a discussion of The City. Also on view in the permanent collection of the Blanton are two of Vincent's paintings from The Strangest Fruit series. They are right across from two prints by previous podcast guest Deborah Roberts. The photo below was taken by me on 9/29/13, the day he finished the series at his former firehouse studio in San Antonio, right before they came crate them up. The lights are on. The mics are live. The cameras are rolling, yet no one is sure where to begin. Gestural brushwork composes the scene. Moments of pause. Speakers at podiums, flanked by microphones and floral arrangements. Each is silent. Some mournful. Some pensive. Others meditative or distant. Collectively uncertain of where we go from here. 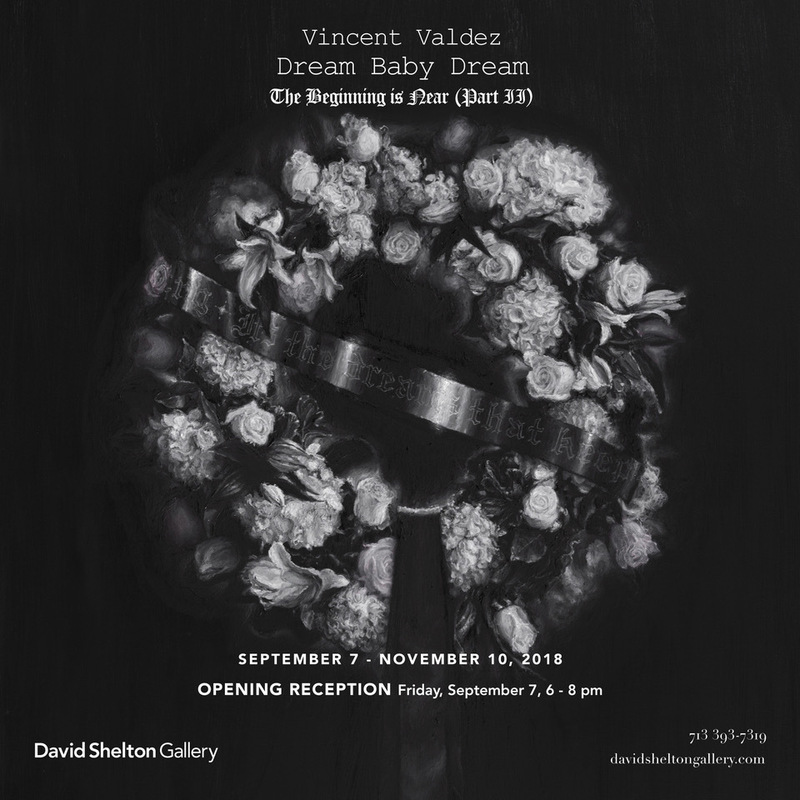 Dream Baby Dream (2017–2018) is Part II of Vincent Valdez’s allegorical trilogy The Beginning Is Near. 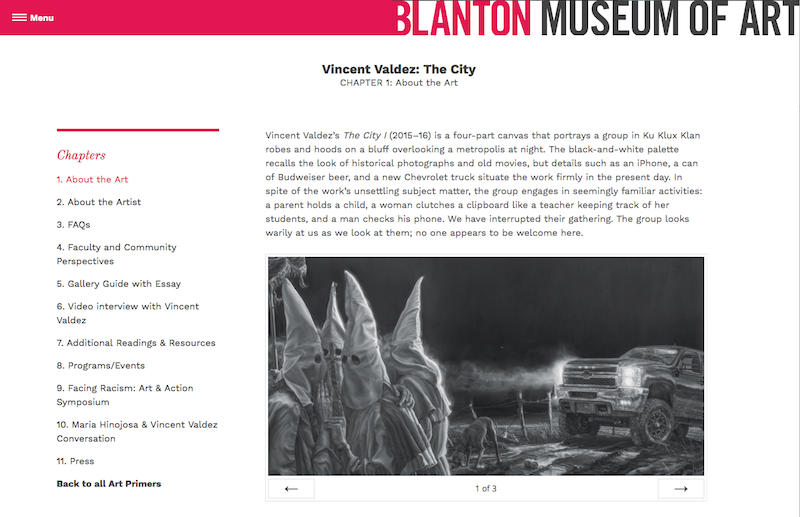 The series follows on from Part I (2015–2016), two large oil paintings, The City I and The City II, that address the structural oppression, hate and violence Valdez sees as inscribed into the sociocultural landscape of the United States. As he completed the final canvas of The City I, news broke of the death of Muhammad Ali (June 3, 2016). A week later, between bouts of painting, Valdez watched television coverage of people following the hearse carrying Ali’s body, the funeral service and the eulogies honoring “The Greatest.” The diversity of the speakers and the compassion and conviction of their words resonated with Valdez, but months later, during the culmination of the 2016 presidential campaign, he found new meaning in the spectacle surrounding Ali’s death. Returning to the footage, Valdez sought to reconcile Ali’s life and legacy with the dawning apprehension, anxiety, division and disillusionment that echoed across the country from screen to shining screen.